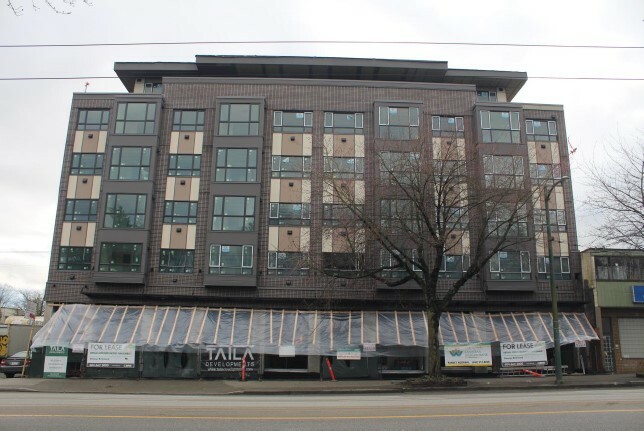 $13,018,336 CMHC term financing for the refinance and equity take out of this recently completed mixed-use rental apartment building on Kingsway in Vancouver East. The loan will be advanced in 2 stages, tranche one when the residential units are leased and tranche two when the commercial space is leased. The first advance of the loan allowed the borrower to pay off the existing construction costs and the second advance allowed the equity take-out. The 75% loan to CMHC value is a 10-year term at 3.05%.